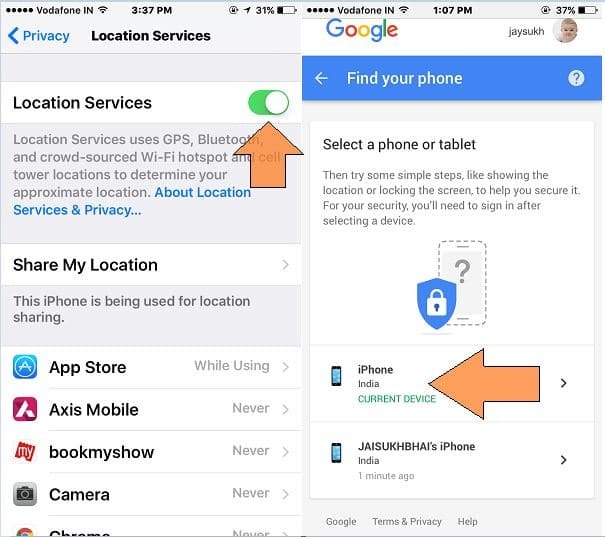 Good news for all iOS users about the security is that Google planned to add new features for help to find your lost device from the exact location. In result, remotely you can track your device on Google Map from Web or Map app. Google shared on official blog about this security features for the iOS device. Millions of people unhappy with iCloud find my iPhone, excited to know about New features of Find my iPhone on google. Here is the setup guide and security features overview that you should enable at first for track iPhone/ iPad on Google apart from pray track device. Register or Prove your device identity of the iOS device; you register your device by sign up with existing Google account. In your iPhone/ iPad, Launch browser and Open Activate device on Google, Sign in with Exiting Google username and password. After successfully sign in, tap on set current location. Note: Before you register your iPhone/ iPad, you must enable location services for an app that can use it, Go to the Settings > Privacy > Location services (Enable toggle). Back to your iOS browser, Wait for your device located in your account. (Google account fetch current location through Google Map iOS app). After successfully registering, your screen should like in below. Search “I lost my phone” in Google. As a result, you will show the map at below search box. Sign in Google account for the security. 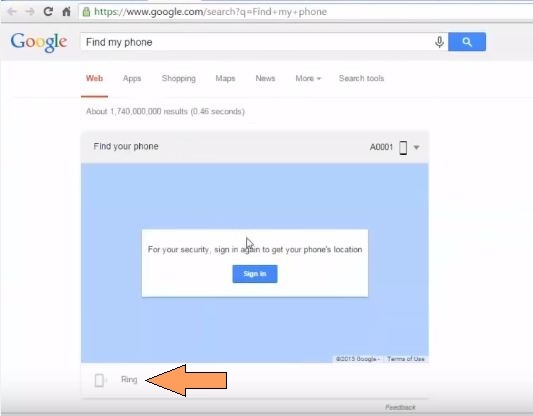 Remotely you can ring on your Device, by click on Ring near to mobile icon. More in the future improvement by Google will add the Sent message on your screen with the reference number or some text that you want. 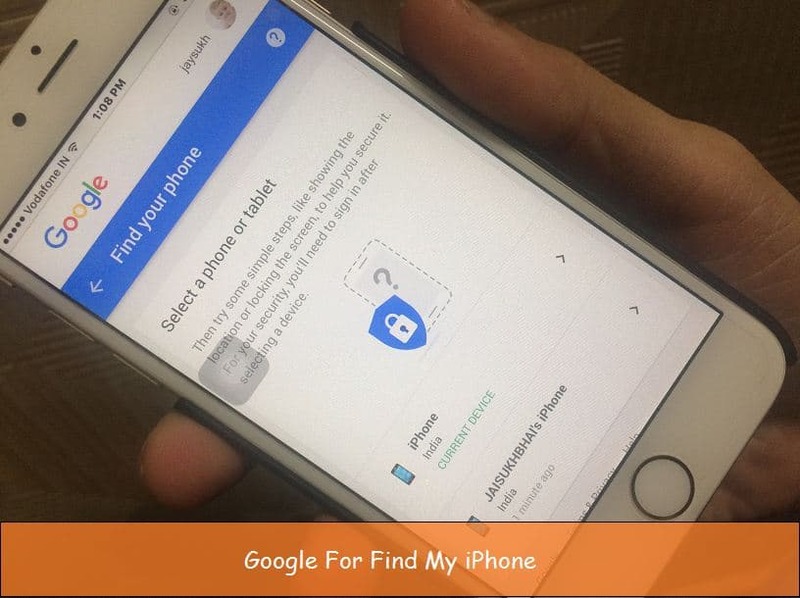 Till that you can enjoy the essential features of Find my iPhone on google. Stay in touch with us or share on Google+, Twitter or Facebook.